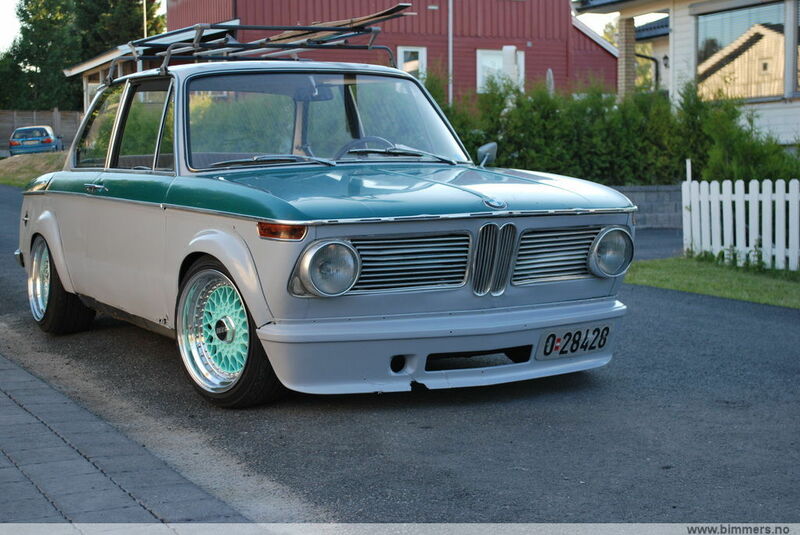 This flared E10 BMW 2002 is sitting on a set of BBS RS Wheels. The BBS RS wheels are 16″ in diameter and feature Tiffany Blue Faces with Polished lips. Full Height Center Caps look really nice sitting inside the large dish.